Respecting the most recent legislations, exceeding our customers’ requirements, meeting the highest quality standards… Those are the goals we reach every day to provide society with safe, healthy and natural products. For many years, Alland & Robert has been committed to an ambitious quality policy in order to be as transparent as possible towards our clients, and ensure the safety of the consumers who eat our products. Alland & Robert holds several internationally recognized certifications. They help us meet and go beyond our clients expectations. Alland & Robert is BRC certified (version 7) and is audited every year. The BRC is an international leading safety and quality certification program. The BRC requirements guarantee the standardization of quality, safety and operational criteria, to ensure that manufacturers fulfill their legal obligations and provide protection to the end users. Alland & Robert’s BRC certification means that we have established good manufacturing practices to produce safe, legal products that meet the quality levels expected by our customers. It is also a way for us to give our customers confidence in our food safety program and supply chain management. 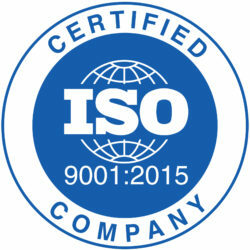 Alland & Robert is ISO 9001 (V2015) certified. ISO 9001, V2015, is a quality management systems standards designed to help organizations ensure that they meet the needs of customers and other stakeholders while meeting statutory and regulatory requirements related to a product. Alland & Robert is a member of the SEDEX since 2009. 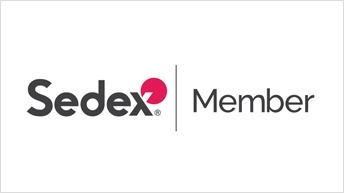 SEDEX (Supplier Ethical Data Exchange) is a non profit membership organization dedicated to driving improvements in responsible and ethical business practices in global supply chains. Alland & Robert is receiving the SEDEX certification through a high standard referential called SMETA (Sedex Members Ethical Trade Audit). SMETA is a Best Practice Guidance helping us carry out social and societal audits, with 4 main pillars that represent the most complete measurement: labor standards, environment, health & safety, business ethics. In compliance with the law, Alland & Robert applies the HACCP (Hazard Analysis Critical Control Point) method. This is a systematic preventive approach to food safety: it goes from biological, chemical and physical hazards in production processes that can cause the finished product to be unsafe, to designs measurements to reduce these risks to a safe level. Alland & Robert is working with the ANSM (‘‘Agence Nationale de Sécurité du Médicament’’ or National Agency for Medicine Safety) and has regularly been inspected by this authority for many years. Compliance with the ANSM is mandatory for companies supplying ingredients in the pharmaceutical industry, and Alland & Robert is supplying both excipients and active ingredients to pharmaceutical companies. For customers who need organic gum acacia with perfect traceability, Alland & Robert has developed a range of certified organic grades. 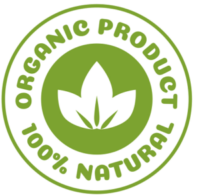 Our African suppliers who deliver us organic raw materials are organic certified as well by accredited organisms. This allows Alland & Robert to ensure the full traceability of the gum. As an international company selling products in more than 70 countries, we believe it is our responsibility to adapt to the specifics of our markets, and to meet our customers’ expectations, including religious ones. Alland & Robert‘s acacia and karaya gums are both Halal and Kosher certified.